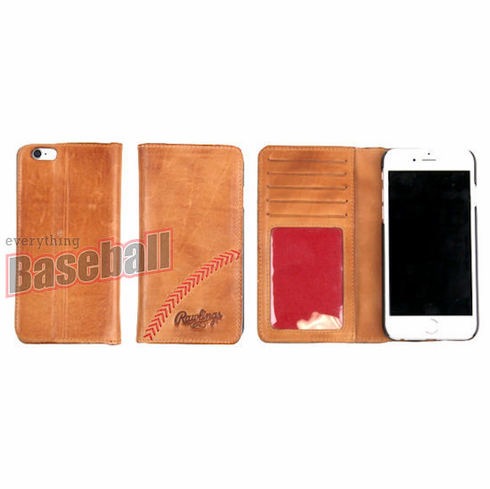 Vintage Baseball Stitch Leather iPhone Cases by Rawlings. Hand rubbed burnished calfskin in soft rich glove tan with red baseball seam stitch accents. �The finest in the field� embossed trademark included on every case. Measures appx. 3" x 5.5" x .5" when closed. Includes ID Window and 4 Credit Card Slots. These are for the regular iPhone 6 & 7 models...not the plus sizes.